This past weekend I was invited to a bridal shower with a Tea Party theme. The invitation was made to look like a tea bag with tea inside…it was just darling. I hope to share photos and details soon as it was so lovely! 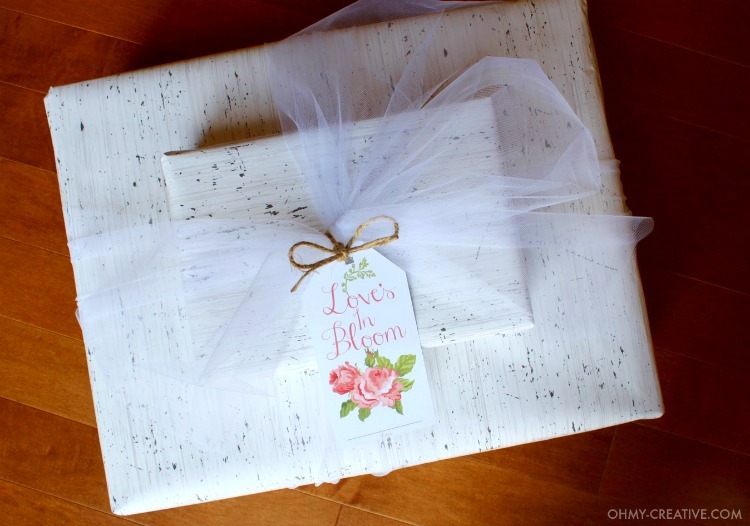 I bought bath items off the bridal registry and wrapped them in this birch tree paper I had on hand. 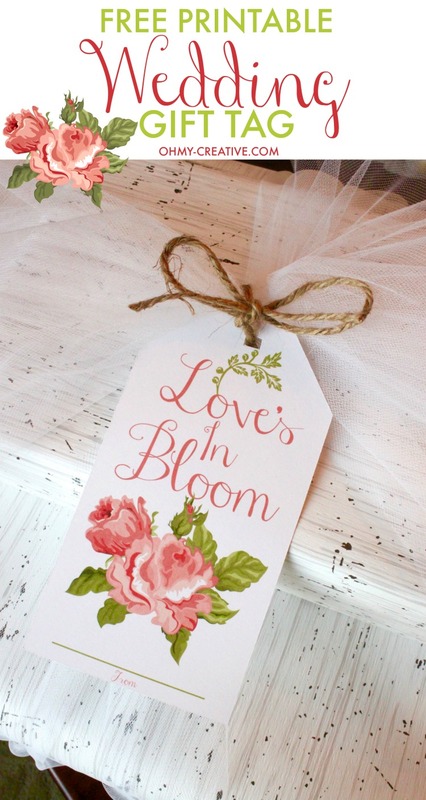 Instead of springing for an expensive card that will be discarded, I decided to make my own Bridal Shower Printable Gift Tag for my pretty package. 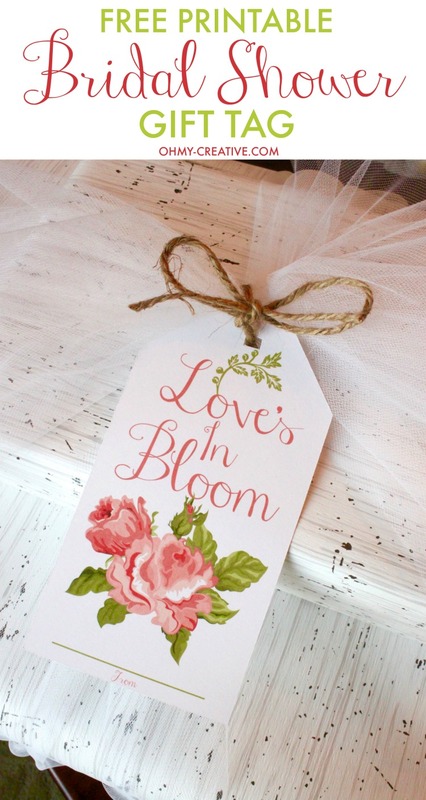 I love the cabbage style roses and vintage colors that accented the birch gift wrap, tulle and jute twine. My gift was garden party ready! The party was hosted in my friend’s backyard alongside her garden full of amazing DIY details – I will share soon! But in the meantime if you find yourself attending a wedding shower or wedding, feel free to print out this free bridal shower printable! 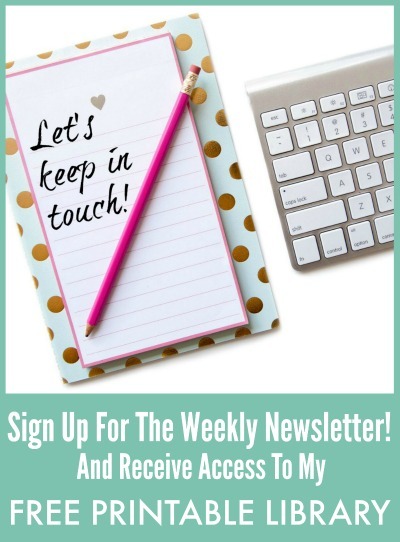 Stop by my other free printables too! I recommend using a 65lb weight cardstock to print any gift tag. It’s much sturdier for a card or gift tag. Once printed, use an X-Acto knife or scissors to trim out the bridal shower printable. Use a hole punch or cut a small square in the top of the tag to attach the tag to the package. If you can believe it, I misplaced my hole punch the day I was wrapping my gift! 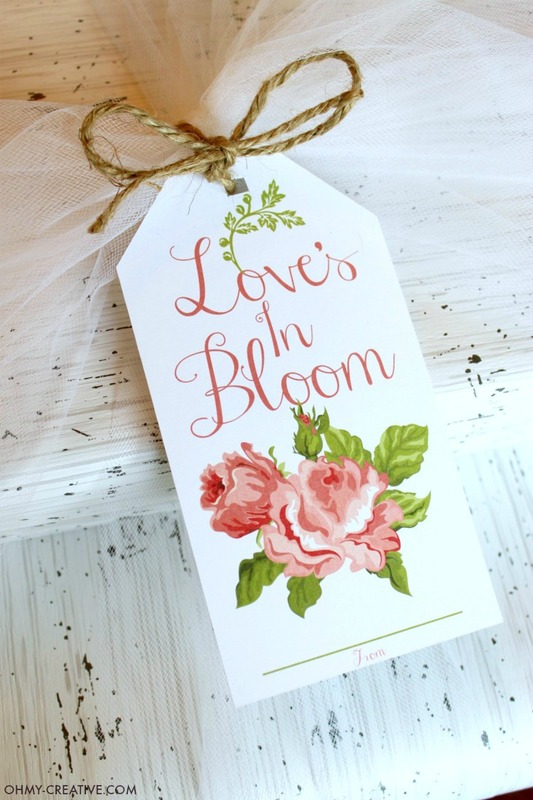 This gift tag is also pretty enough for a wedding gift! 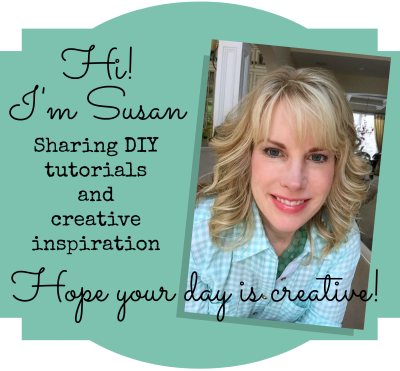 It would be easy to hot glue a few cabbage silk roses to match the gift tag…simple and inexpensive to dress up a wedding gift! 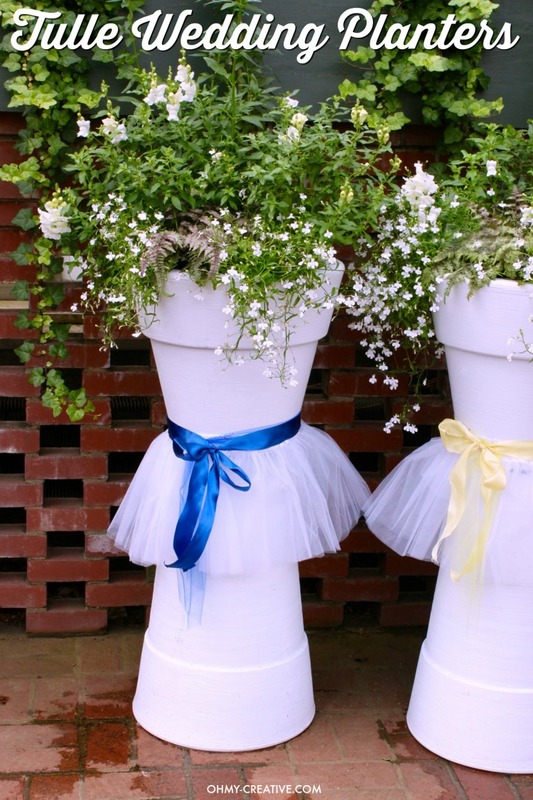 Tulle Wedding Planters – too cute!